Here are 20 of the best free tools for file comparison, archiving, encryption, renaming, de-duplication, merging, copying, syncing and search. 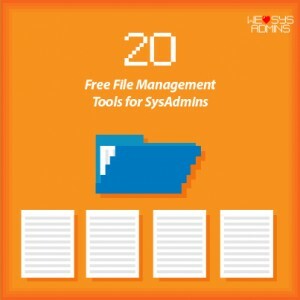 This list is intended to supplement the list provided on 101 Free SysAdmin Tools. Even if you may have heard of some of these tools before, I’m confident that you’ll find a gem or two amongst this list. 01 TeraCopy – copy and move files quickly in Windows. 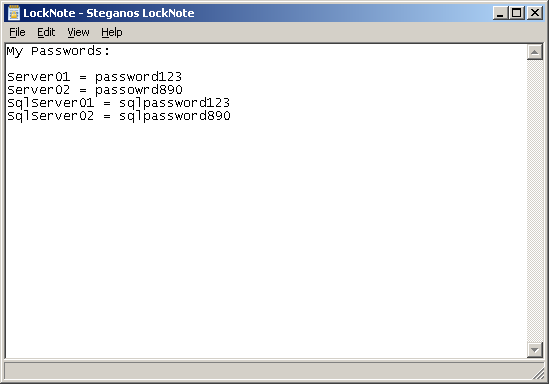 02 Steganos LockNote – securely store confidential notes. 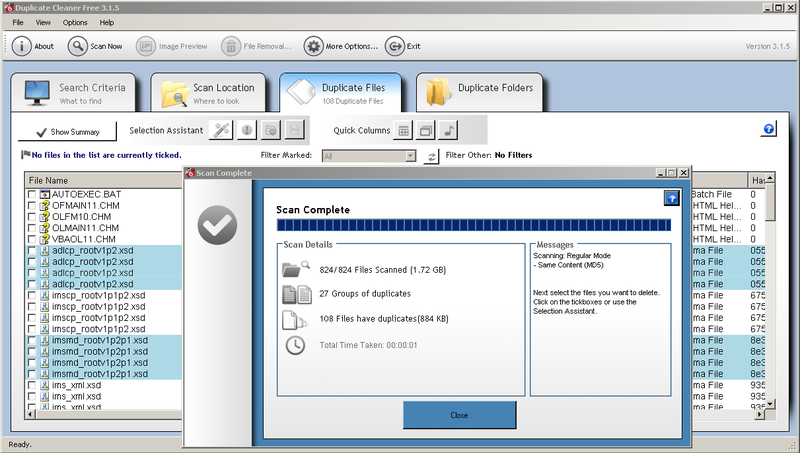 03 Duplicate Cleaner – remove duplicate files from your hard drive. 04 Bulk Rename Utility – rename files and folder using flexible criteria. 05 Free Opener – open 80 different file formats from a single interface. 06 FreeFileSync – synchronize folders quickly and easily. 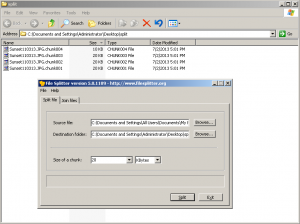 07 PeaZip – archive and extract many different file formats. 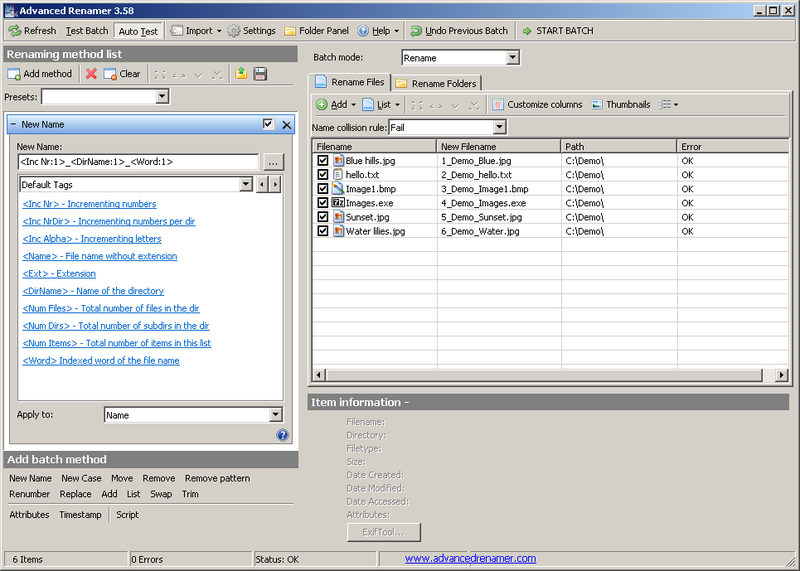 08 WinMerge – compare and merge differences between files. 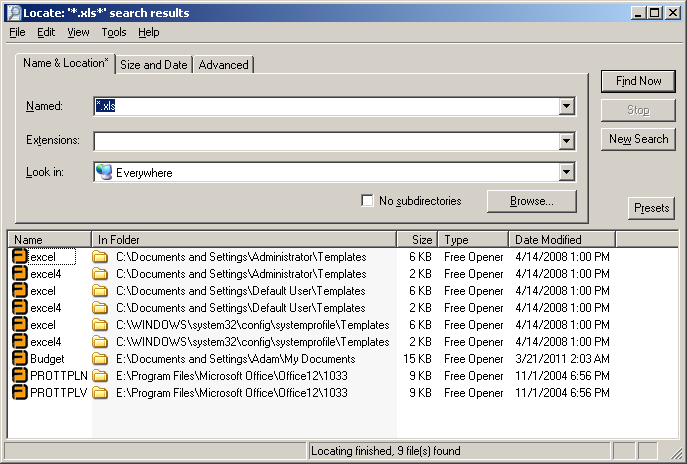 09 SearchMyFiles – an alternative to Windows search. 10 AxCrypt – file-level encryption that’s secure and easy-to-use. 11 File Splitter – split and merge files quickly and easily. 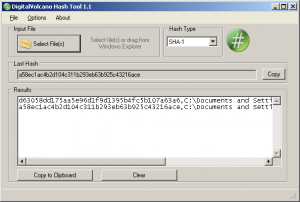 12 Hash Tool – quickly calculate file hashes to verify integrity. 13 ExamDiff – visually highlight differences between two files. 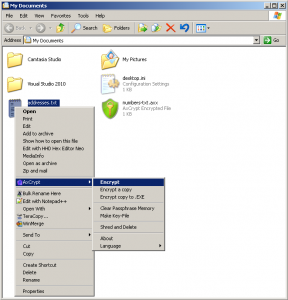 14 7-Zip – archive and extract files using powerful compression. 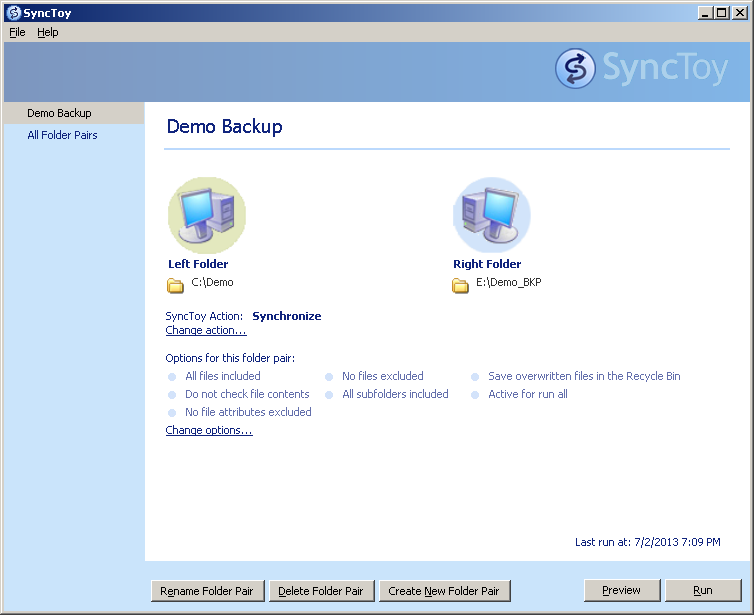 15 Microsoft SyncToy – backup data by synchronizing files and folders. 16 MyLockBox – hide, lock and password protect a Windows folder. 17 Advanced Renamer Portable – edit file or folder names in bulk. 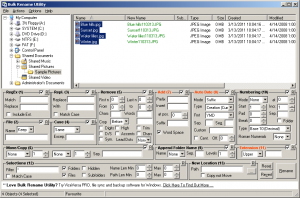 18 Locate32 – index and then search for files by name. 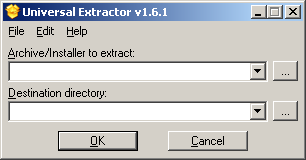 19 Universal Extractor – extract files from virtually any type of archive. 20 Better Explorer – advanced version of Windows Explorer. TeraCopy acts as an alternative to the built-in copy and move process in Windows. It is designed to copy and move files either locally or over the network at a faster rate. It allows you to pause and resume file transfer activities, it integrates into the Windows shell and has an automatic error recovery mechanism in case something goes wrong during the transfer process. Once you’ve installed TeraCopy, you can launch the application from the Start Menu or by right clicking on a file or folder and selecting “TeraCopy…” from the context menu. When you’ve selected which files to transfer and where to transfer them to, you can then select which action to take after the process is complete (e.g. shutdown machine or close window). Finally, you kick the process of by clicking the “Copy” or “Move” buttons. TeraCopy keeps a log of all actions taken in the drop down box at the bottom of the window. Steganos LockNote comes as a standalone application which does not require installation. When you launch LockNote.exe you are presented with a text editor similar to notepad.exe. Type whatever text you wish to be kept secret and go to File > Save As… to save the note as an encrypted container. You will be prompted for a password and the resulting output file will be in *.exe format. Duplicate Cleaner is a file de-duplication tool that removes redundant copies of files from a specified hard drive or network location. It works by generating an MD5 hash of each file and then comparing hashes for duplicates. It also gives you the option to search for files using a byte-to-byte comparison. Once the duplicate files have been found, you can choose to delete them or move them to an archive location. When you launch Duplicate Cleaner, you first specify the search criteria from the first available tab, then you tell it where to look from the “Scan Location” tab before hitting “Scan Now”. A summary window will appear showing how many files were scanned and how many duplicates were found. The “Duplicate Files” tab highlights which files need attention. Bulk Rename Utility is a lightweight yet powerful application for renaming files and folders using an extensive array of criteria. Using this tool you can remove, add or change text and numbers within the file name, add date/time stamps, change case, modify file and folder attributes and preview what the changes will look like before you go ahead with them. The Bulk Rename Utility also supports regular expressions for additional flexibility. Note: The Bulk Rename Utility comes in a command line version too. Using the command line version of the utility you can create scheduled jobs to perform a repetitive action at a specified time (e.g. rename a set of log files or backup files every day at midnight). When you launch the Bulk Rename Utility you are presented with the navigation pane on the left hand side, the preview pane on the right hand side and a multitude of rename options at the bottom. Start by navigating to a folder that contains the files you wish to rename from the navigation pane or find the folder in Windows Explorer, right click on it and choose “Bulk Rename Here”. Free Opener allows you to open over 80 different file formats from a single interface. Even if you don’t have the native application installed, you can quickly fire up Free Opener to open that file format. Free Opener supports Microsoft Office files, Archive files, Image files, Code files, Video files and Audio files, amongst others. Essentially it is just like having a Document Viewer, Image Viewer, Media Player and Archive Viewer all rolled into one! When you launch Free Opener, the first thing you should do is go to File > File Associations to enable which file types you want to be associated with the Free Opener application. This will mean that any file that you double click to open will be opened automatically in Free Opener (if the file type is supported). Alternatively, click on the “Open” icon or go to File > Open to choose a file to open in Free Opener. When you open a file, at the bottom of the window a menu bar will appear containing some edit options (which change depending on the file type you have opened). FreeFileSync is a folder comparison and synchronization tool designed with usability and performance in mind. 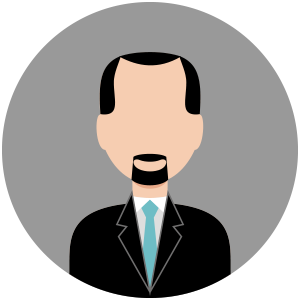 FreeFileSync allows you to save the configuration as a “.batch” file which you can then use to schedule a task for automatic folder synchronization. When you launch FreeFileSync, add a path to the left and right hand side of the window and hit the “Compare” button to compare both locations side-by-side. FreeFileSync will use a series of icons to highlight what’s different between both folders. You can then hit the “Synchronize” button to sync both folders. Go to Program > Save as batch job… to save the configuration as a batch job for use later when scheduling a task. PeaZip is a cross-platform file and archive manager that supports volume spanning, high levels of compression and encryption, and support for a wide range of archiving formats. Using PeaZip you can create archive formats such as 7Z, ARC, BZ2, GZ, PAQ, PEA, QUAD/BALZ, TAR, UPX, WIM, XZ, and ZIP, and extract over 150 archive formats, including ACE, CAB, ISO, RAR, UDF, ZIPX and many more. PeaZip features include creating, converting and extracting multiple archives at once, creating self-extracting archives, secure data deletion, checksum creation and hashing. Once PeaZip is installed, you can either open or create an archive using the “Open as archive” or “Add to archive” context menu options respectively, or launch the application and take the required action from there. 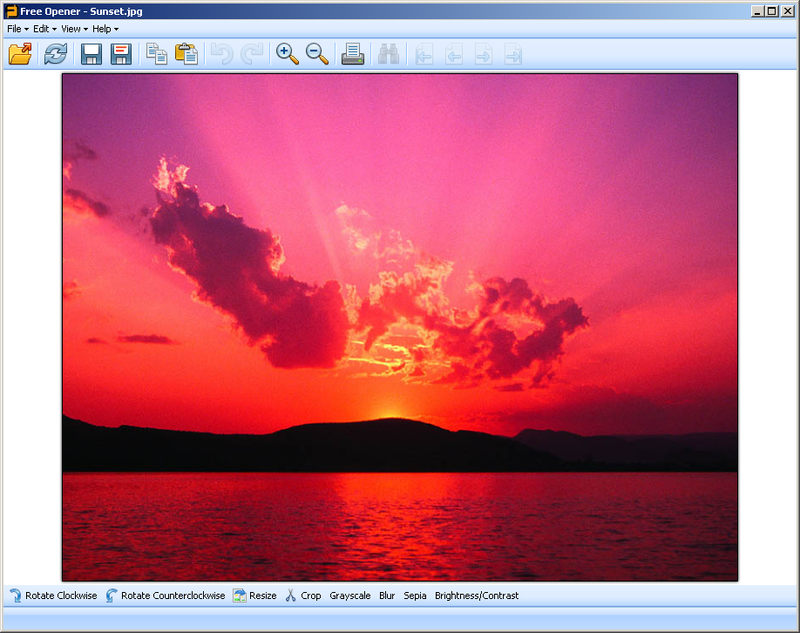 Once in the PeaZip UI, simply navigate to the required file or folder from the left hand pane and then click one of the icons in the top menu to take an action. WinMerge is a file comparison and merging tool that visually displays the differences side-by-side. This tool is useful for helping to determine what has changed between two files versions and then merging those changes. WinMerge supports Unicode and regular expressions and includes Visual SourceSafe and Windows Shell integration. When you launch WinMerge and choose to open files to compare, you are asked to select a file for the left hand side and a file for the right hand side. 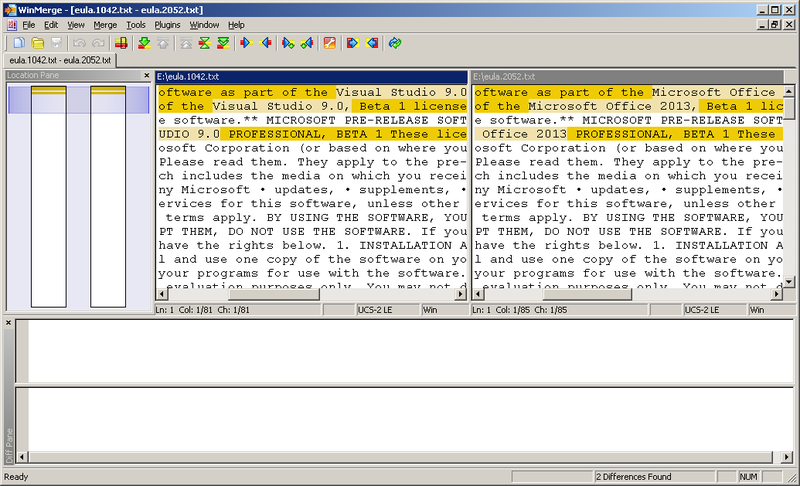 Differences between these files are shown in the Location Pane and highlighted throughout both documents. SearchMyFiles aims to be an alternative to the Windows “Search For Files And Folders” process, allowing more flexible and accurate searches to be performed. You can search using wildcards, last modified/created/accessed time, file attributes, file content (text or binary search) and by file size. Search results can be saved as a text, html, csv or xml file. SearchMyFiles comes as a standalone portable application that doesn’t require installation – it can there be run straight off a USB drive. Executing the SearchMyFiles.exe application brings up the Search Options window which allows you to specify where to search and the search criteria to use to bring back results. Simply choose the desired options and hit “Start Search” to have the application perform the search operation. 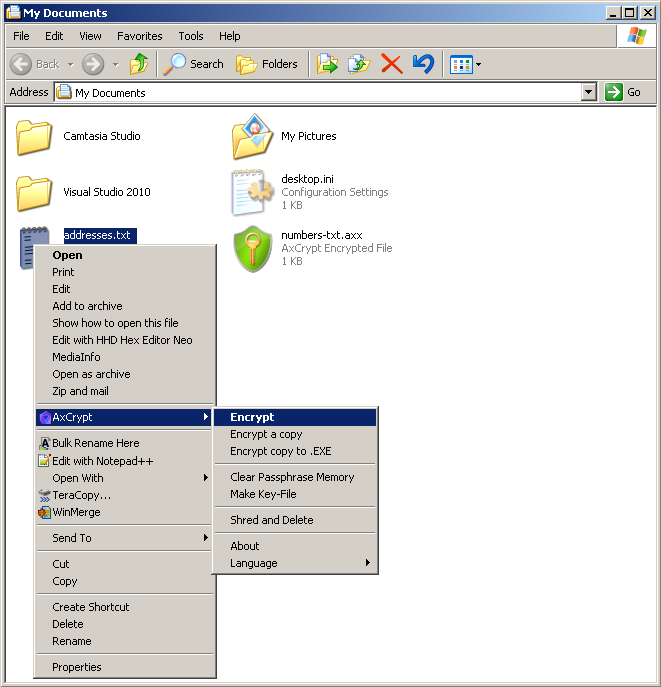 AxCrypt is a file-level encryption tool that integrates with the Windows shell and allows you to right-click on a file to encrypt or decrypt it using AES-256 encryption. AxCrypt also offers the ability to create a self-extracting archive to securely transfer files to another location (with AxCrypt not being required for decryption on the other end). Once installed, everything happens from the context menu when you right click on a file. You are given the option to Encrypt or Decrypt the file, manage passphrases or permanently delete the file. File Splitter does what it says in the name. It is a super lightweight standalone application that splits files into multiple chunks and merges chunks back into a whole file. When you launch File Splitter, use the “Split file” tab to specify the source file to split and the destination of the file chunks as well as the size of each chuck. Similarly, use the “Join files” tab to specify the chucks to merge into a whole file again and the destination of where you want the joined file to be placed. 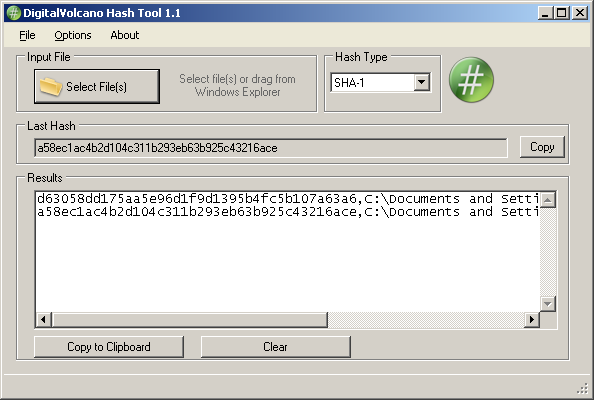 Hash Tool allows you to quickly and easily calculate the hash of multiple files to verify file integrity. The tool supports Unicode file names and MD5, SHA-1, SHA-256, SHA-384, SHA-512, CRC32 hash types. Start by selecting the hash type from the drop down list and then selecting the files to hash from the “Select File(s)” button. 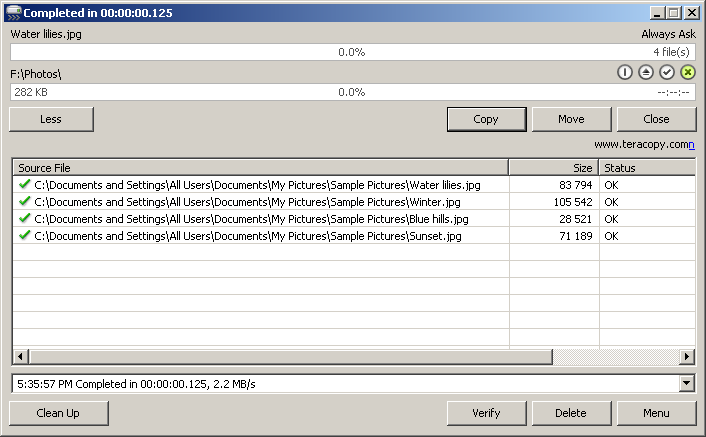 Alternatively, drag and drop the files into the “Results” window for the hash to be automatically calculated. You can then save the results to a txt or csv file or copy them to the clipboard. Similar to the functionality offered in WinMerge, ExamDiff offers a visual side-by-side comparison of two files, highlighting the differences in different colours and giving you the option to navigate through the changes in a number of ways (e.g. using a drop down list). ExamDiff also comes with command line options allowing you to create a batch file to automate the process. When you launch ExamDiff, you are presented with a dialog box asking you to specify the location of the two files to compare. Once you do this and hit “OK”, the application opens displaying a side-by-side comparison of the files and highlighting lines that have been added, deleted or changed in different colours. 7-Zip is a powerful file archiving utility with a high compression ratio that supports a multitude of compression formats, including 7z, GZIP, TAR, ZIP, CAB, MSI, etc. Features include the ability to create self-extracting archives, adjust the compression level and add password protection. 7-Zip’s power lies in its compression ratio; it claims to provide a ZIP format compression ratio that is 2-10% better than its competitors and a 7z format compression ratio that is 30-70% better than ZIP format. When you launch the application, navigate to the folder containing the files you wish to archive and hit the “Add” button to create an archive. Alternatively, you can create an archive directly from the context menu by right clicking on a file or folder. 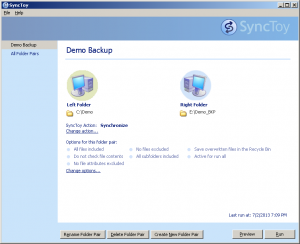 SyncToy is an application that can be used as a mini backup utility to synchronize files and folders between two locations. SyncToy allows you to ‘Synchronize’ FolderA with FolderB where the changes are replicated on both ends, ‘Echo’ FolderA to FolderB where the changes in FolderA are replicated to FolderB, and ‘Contribute’ FolderA to FolderB where the changes in FolderA (except deletions) are replicated to FolderB. When you launch SyncToy, the first thing you need to do is create a New Folder Pair, specifying the left and right folders you wish to synchronize. You can then choose the Synchronization action (i.e. Synchronize, Echo, and Contribute) and which options you wish to use before running the synchronization session. My Lockbox is an easy to use application that allows you to hide, lock and password protect a Windows folder on a FAT, FAT32 or NTFS volume so that it’s only accessible to you. When you launch My Lockbox and choose which folder to protect, it automatically disappears from view within Windows Explorer or from the command line. The only way to access the folder is to launch My Lockbox, enter the password and Unlock the folder. Advanced Remaner Portable is a standalone lightweight and easy to use application that can be used to quickly add, remove, replace, or append file or folder names in bulk. Select the “Rename Files” or “Rename Folders” tab to rename files or folders respectively. Add files or folders to the list and create a new method from the left hand pane – here you create the renaming rules you want to apply to the list of files or folders. When you’re ready, hit “START BATCH” to initiate the process. Locate32 is a search utility that finds files or folders based on their names. Locate32 works by indexing file and folder names in a database and then using the database to quickly return results. Locate32 comes packaged with a command line version that can be used to update and access the databases without any user interaction. When you first launch Locate32, go Tools > Settings > Databases tab to set up your databases. Databases are essentially index locations – any files contained within a location specified in the database will be searchable more quickly. Once you’ve set your databases, use the “Name & Location”, “Size and Date” and “Advanced” tabs to perform your search. Universal Extractor is designed to decompress and extract files from virtually any type of archive, regardless of source, file format or compression method. 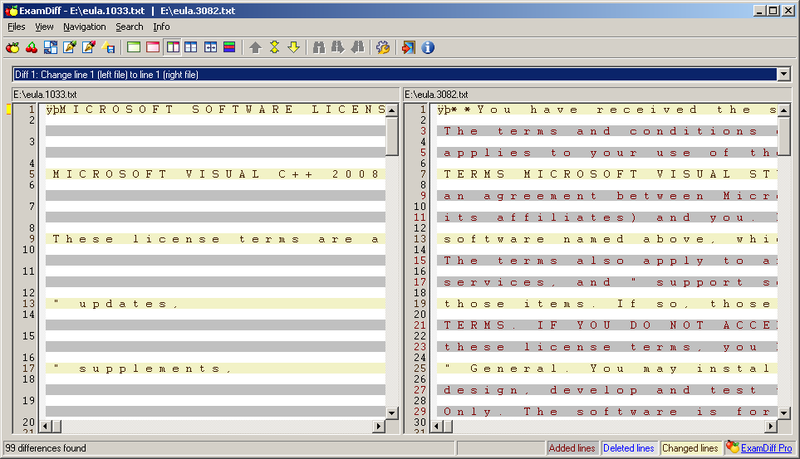 It supports anything from EXE format to ZIP, CAB, ACE, TAR.GZ, ISO, MSI, RAR, PEA and RPM format, amongst many others. It is handy because it saves you from needing different applications to open different archive formats. Note: Universal Extractor does not create archives; it is used only to extract data. Once you open Universal Extractor, specify the location of the archive file and a destination folder where the contents will be extracted to. Press “OK” to start the extraction process. Once installed, Universal Extractor will also be available via the context menu, allowing you to easily right click on an archive and select “UnExtract”. 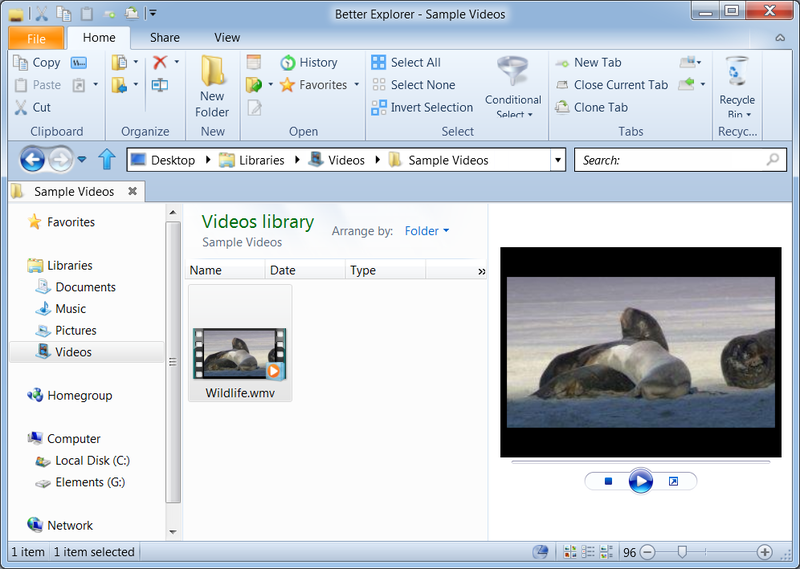 Better Explorer aims to be a replacement for Windows Explorer. It offers greater functionality and a streamlined UI with Ribbons (much like Microsoft Office) and Tabs. It includes the ability to manage favourites, conditional select, sizing charts (giving a visual representation of the size of a folder), in-built image editing tools, an enhanced search feature, and archive support. Note: At the time of writing, this application is still in BETA. It is not recommended that this be installed on a production machine but rather that you use it in a testing environment or on a personal machine at home to try it out before the full version is launched. It made this list because of its potential; if the BETA is anything to go by, Better Explorer certainly looks like one to watch! Are there any free tools not on this list that you’ve found useful and would like to share with the community? Then leave us a comment below and let us know! Thanks for sharing. Total Commander is a great file management tool, but as far as I know unfortunately it is not free (you can try it for 30 days, following which you will have to purchase a license).